Welcome to the Linuxchix Courses site! LinuxChix volunteers periodically conduct courses on all types of Linux-related and life-related topics. To be notified when a new course is starting, please subscribe to the LinuxChix Courses mailing list or subscribe to our New Course Announcements RSS feed. 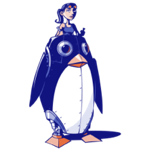 Currently, LinuxChix is not conducting any courses. A list of online courses LinuxChix hosted prior to 2013 is available here. Courses were conducted between 2002 and 2012. Most courses took place on the LinuxChix Courses mailing list, and the full discussions surrounding each course -- including the lessons, questions from students, and problems solved -- can be seen in the list archives.